If you’ve ever used Google Analytics, you already know it’s a treasure trove of information about exactly how visitors use a website. Now imagine injecting Google Analytics with steroids, juicing this data manipulating beast to become a grade-A SEO aide as well. That’s what Onpage Hero SEO has been offering its users — and now, you can join that club with a saving of almost 90 percent, just $29.99 from TNW Deals. 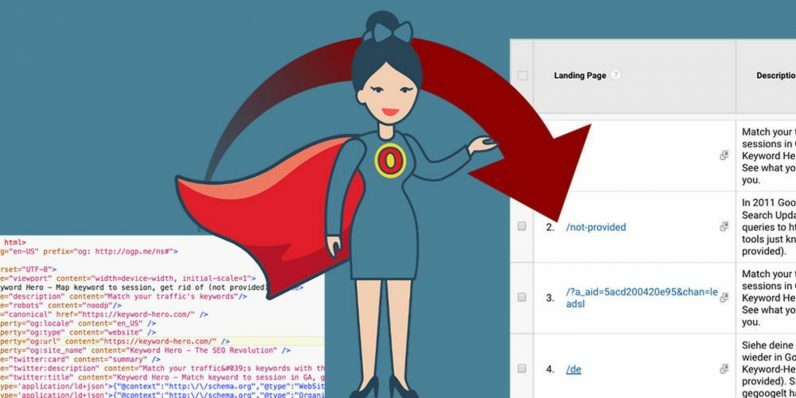 Onpage Hero SEO syncs with Google’s Tag Manager, crawling your website for up to 20 insightful SEO metrics that you can access right in Google Analytics. A favorite of organizations like Conde Nast and Smart Cars, Onpage Hero points out keywords and phrases to optimize every page of your website, driving up traffic and pushing your pages to the top of Google’s all-important search engine rankings. Onpage provides live monitoring for everything from meta tags to text snippets and the means to not only follow exactly how visitors are interacting on your pages but even when surfers are stopping by through cloaked IPs or running ad blockers. Reports help you track any site changes to see how users respond, offering you faster, more accurate data to get the most out of your web traffic as quickly as possible. As you set up custom dashboard and unique data monitoring sets, you’ll never guess again about why something is — or isn’t — working on your site. A lifetime of Onpage Hero SEO access would usually cost about $250, but with this limited time offer, it’s on sale now for only $29.99.